Description: A whole unit of entrance space designed by a white elegant look. outside a slenderize border presenting itself already a wonderful performable look once it assembles within the ground. 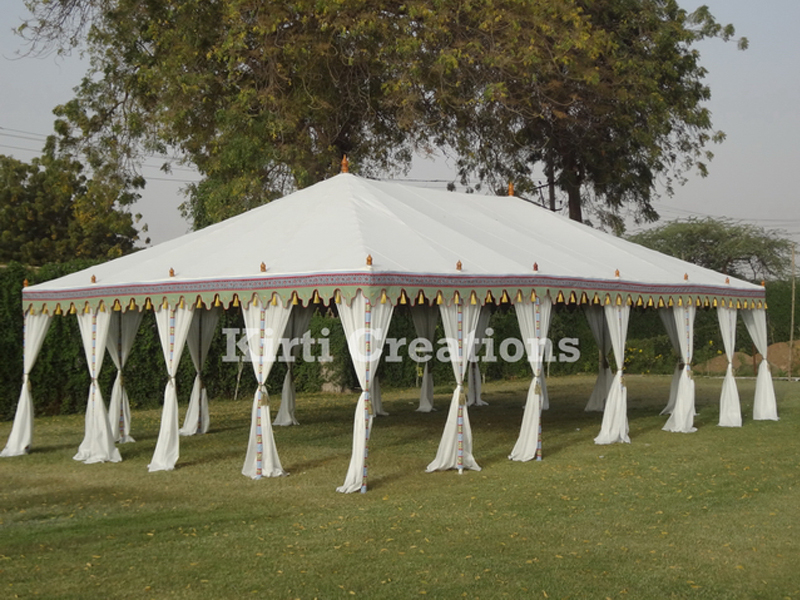 Overall this is excellent and happening for everywhere this Durable Raj Tent.